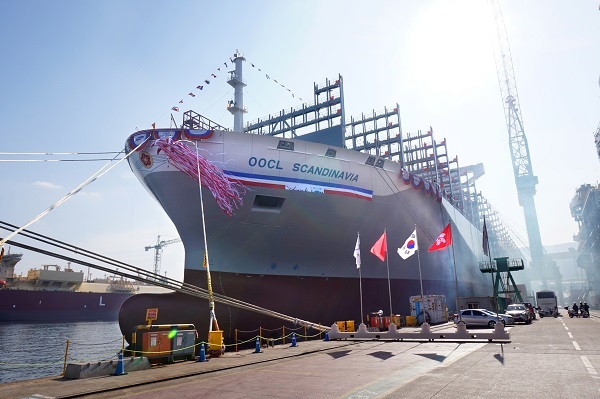 OOCL announced that Hull number H2174, the third in their line of six 21 thousand TEU class containerships, has been named as the OOCL Japan at the Samsung Heavy Industries shipyard. Among industry friends, colleagues and business partners at the naming event, Mr. Andy Tung, Chief Executive Officer of OOCL, thanked all those who contributed to the success of the OOCL Japan, particularly the shipyard for all their support in their contribution to OOCL’s fleet of 21,413 TEU vessels. “Samsung Heavy Industries is one of leading shipbuilders in the world, and we have always valued their level of commitment to quality and the versatility to tackle on new challenges, just as we are doing now to build these incredible 21 thousand TEU class vessels, the largest containerships in the world to date,” said Mr. Tung. In fact, this would be the second time that OOCL is breaking records. 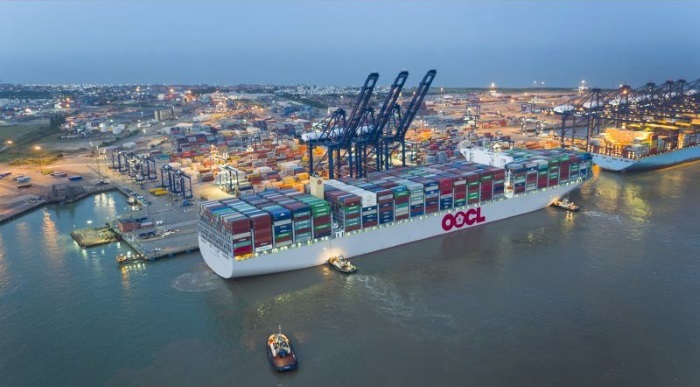 The last time OOCL set a Guinness World Records title was for the largest containership back in April 2003 with the OOCL Shenzhen, an 8,063 TEU vessel. 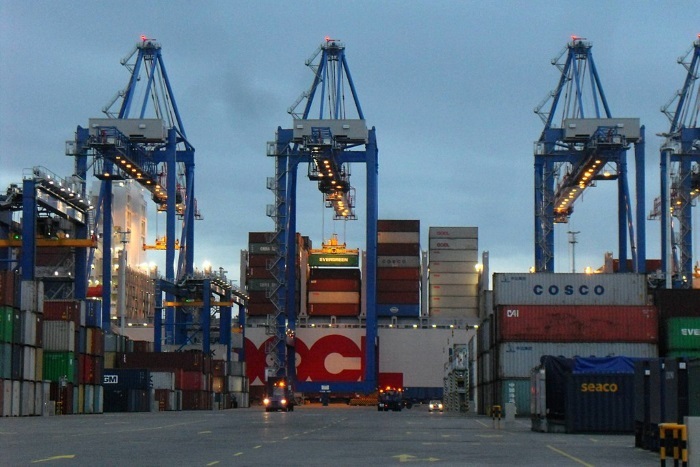 The OOCL Japan will be serving the Asia-Europe trade lane on the LL1 service and her port rotation is: Shanghai / Ningbo / Xiamen / Yantian / Singapore / via Suez Canal / Felixstowe / Rotterdam / Gdansk / Wilhelmshaven / Felixstowe / via Suez Canal / Singapore / Yantian / Shanghai in a 77-day round trip. OOCL is pleased to say that our network operations with our alliance partners are continuing as planned and the new products, including the LL1 service, that were launched in April are settling in well.